San Joaquin General Hospital is recruiting to fill one full-time position and create an eligible list to fill future full-time and part-time and/or temporary positions. The initial referral will be for the San Joaquin General Hospital's Purchasing-Warehouse Department and may be promotional. The list may be used to fill future part-time and/or temporary positions with the central Purchasing-Support Services department as well. Ideal candidates will possess strong communication skills, ability to multi-task, and organizational skills. Experience with ERP systems is preferred. The work schedule will be Monday through Friday from 8:00AM to 4:30PM. Tentatively, depending upon the number of qualified applicants, an oral board will be administered. Assists in reviewing and analyzing low-dollar requisitions for commodities; assists departments in determining if items specified are best suited for departmental needs. Learns the preparation of bid invitations; learns and assists in analyzing bids for compliance with specifications. Participates in conferring with representatives of manufacturing and commercial firms regarding suitability, availability and prices of commodities. Assists in the preparation of purchase orders to selected vendors; checks purchase orders for accuracy and compliance with specifications when complete; confers with appropriate department personnel on possible alternate items. May supervise clerical personnel as required. Education: Completion of 60 semester units from an accredited college or university with an emphasis in public or business administration, political science, economics, or other field with emphasis in commercial subjects.  Experience: Two years experience equivalent to Specialist Clerk (Office Assistant Specialist) in San Joaquin County. The principles and practices of business administration; record keeping principles and techniques; methods of locating and verifying information, and of using source material; public relations techniques. Read, understand and apply written regulations and other job-related materials; understand and follow written and oral instructions; review work for accuracy and procedural conformance; learn and apply the principles and practices used in the purchasing of commodities; establish and maintain effective working relations with a variety of individuals including operating departments and vendor representatives.